A common phone call scam that people have been receiving states that your Social Security number is suspended for suspicious activity. It then prompts you to speak to a government agent in order to receive help resolving the issue. This scam has been going on for over a year, if not longer, and are robocalls that pretend to be from a government official who states that suspicious or fraudulent activity associated with your social security number has been detected. The robocall then prompts you to call back or speak to an agent in order to resolve the issue. 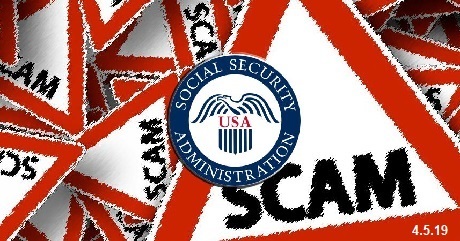 As the FTC notes, Social Security numbers cannot be suspended, so any calls stating that they are is simply a scam. The attackers are just trying to trick you into providing your birth date, bank account numbers, social security numbers, and other sensitive information. "Thing is, Social Security numbers do not get suspended," the FTC states in an advisory. "This is just a variation of a government imposter scam that’s after your SSN, bank account number, or other personal information. In this variation of the scheme, the caller pretends to be protecting you from a scam while he’s trying to lure you into one." Visit OUR FORUM to read and hear the scam messages.